Carbost Pier Ltd is a community company dedicated to developing access to the sea for everyone at Carbost on the Isle of Skye. 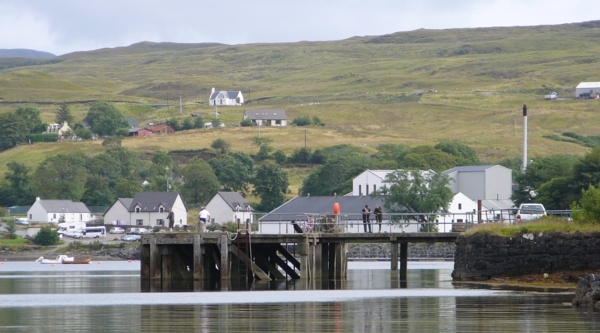 The pier in the fjord-like Loch Harport was formerly owned by Diageo, owners of the nearby Talisker Distillery. Many years ago, raw materials were brought in, and the finished product shipped from the island, aboard traditional Clyde puffers. In late 2011 finding was approved which will enable repairs to be undertaken the following Spring to the pier structure, as well as re-surfacing of the access road. This funding has come from the LEADER programme, the Highland Council, Diageo and through local fund-raising.